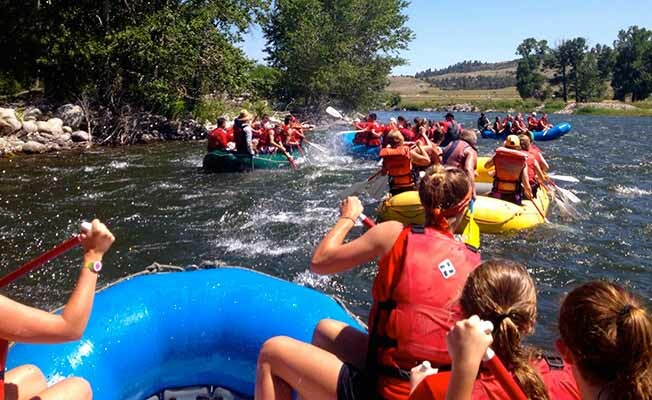 Adventure Whitewater, Inc. is a family oriented rafting business doing whitewater and scenic river trips on the Stillwater River and The Yellowstone River near Absarokee, Montana. We have parking and private launch facilities at our meeting site. With over 35 years of river experience and 23 years as owner of Adventure Whitewater and a perfect safety record, Adventure Whitewater guides can give you the river ADVENTURE you are looking for! We are the only Red Lodge outfitter that is AAA rated, featured on ESPN and Outdoor Life Network. Please call for more information. Advance reservations suggested.